After working exclusively in the nonprofit arena for over 15 years, Kelly Matthews established MBA Services, LLC in 2007. As owner and principal, Mrs. Matthews works directly with entrepreneurs, nonprofits and small businesses to provide a range of services impacting their fiscal structure and trajectory. With a Master of Science in administration from Central Michigan University, a communication bachelor’s from Seton Hill University, a number of certifications, and over 24 years of experience as a program director and finance/operations manager; Mrs. Matthews is uniquely qualified to advise on the strategic approach of addressing foundational business functions like bookkeeping/accounting, administration and marketing of small businesses executing big missions. 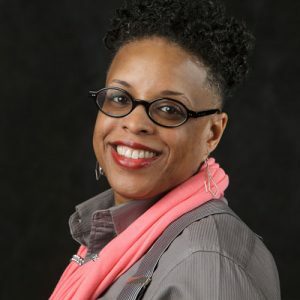 In addition to working with WIT, Mrs. Matthews is the accountant for many artists and arts nonprofits in DC: Story District, Words, Beats & Life, and Holly Bass|360. Mrs. Matthews is a married native Washingtonian with two children and two grandchildren.